Getting an accurate moving quote is an important first step in your upcoming relocation. Here’s everything you need to get an accurate estimate for your moving and storage needs in Calgary. Planning all aspects of your move, from getting a moving quote to organizing storage, is essential to ensure a smooth and seamless relocation procedure. 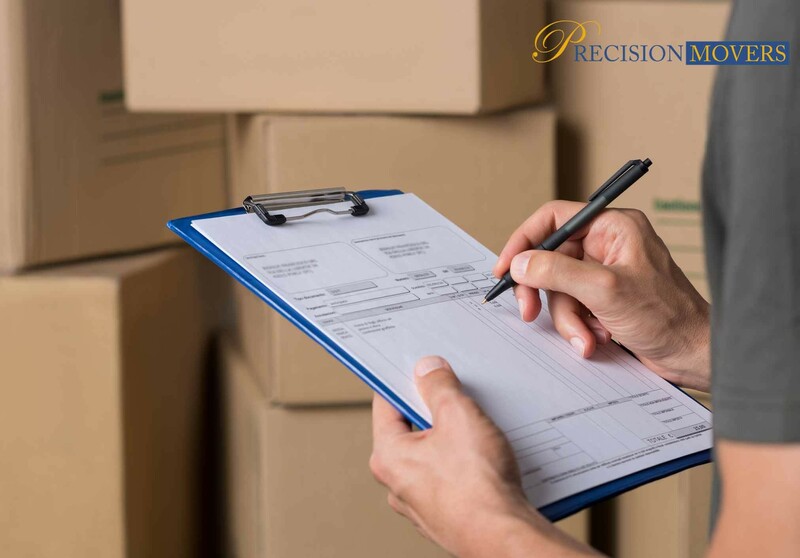 At Precision Movers, we have been successfully relocating Calgary residents across Western Canada for over 30 years. We always strive to provide our clients with efficient service, from accurate moving quotes, to wide storage options, to ensure total peace of mind during your move. If you have decided to use professional moving services, you will receive a price estimate for your relocation. However, in most cases, the final price will differ greatly from the initial estimate. Next, the moving estimator will need to know how the move will be handled at the new address. You MUST tell them if you are moving into an apartment building, if it has narrow stairwells or if there are numerous flights of stairs. REMEMBER: The more detailed and accurate information you can provide, the more accurate your moving quote will be. It’s important to know that there are two types of moving estimates and before you sign a contract, you should understand exactly which one you have been given. Binding: If the mover gives you a binding estimate, they’re required to honor that price, AS LONG AS nothing changes. If you only move the items listed on the inventory sheet, then the final price should match your moving quote. Non-Binding: A non-binding estimate is merely a document with the mover’s best guess of what your moving cost will be. The final price will be determined by the services provided and the weight of your shipment. In such a case, you might find that your actual bill becomes much higher than the estimate. Each method has its pros and cons, and if you are working with a trustworthy relocation company, selecting the type you want is a matter of personal preference. Do the companies tack on fees for heavy or unusually-shaped items? Do they charge extra for driver fees, packing materials and tolls? Will your price go up if you change your moving date? Keeping all these questions in mind when you are asking for a moving quote will ensure that you fully understand what is involved in the relocation fee so you can avoid any nasty and costly surprises down the road. In addition to the moving rate per pound, some moving companies could also charge for additional services. Make sure to talk about all the services they charge extra for, and ensure all of these are included in your moving quote. Most moving companies offer a packing service and while you may have to pay a premium for this option, it may be worth it if you have mobility issues or want a stress-free move. REMEMBER: All fees and estimates for packing services and materials should be clearly listed on the estimate. Discuss pianos, large safes or any other especially heavy items with the moving company in advance. Not all companies are capable of handling these items, and those that are will likely charge an additional fee to do so. These items should be listed on your moving inventory with a special note if there will be an extra charge for moving them. If movers have to carry items up and down stairs, it’s likely that they’ll charge an additional fee. One flight is sometimes included, but this isn’t always the case. If either your old or new house has stairs, make sure to ask the company if they charge a stair fee, and make sure that it’s included in the moving quote. To find out more about our comprehensive moving services in Calgary, including safe and piano moving, or to get a moving quote today, contact us at 403-540-4393 or fill in our online contact form.